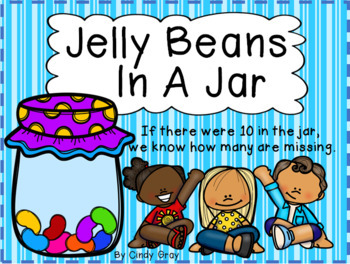 Jelly Beans in a Jar ~ Missing Addend, What makes 10? 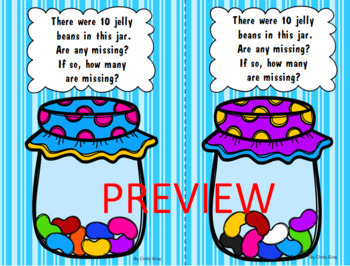 Students can show fluency within 10. They can determine the unknown whole number in an addition or subtraction number sentence. Included are twelve engaging flash cards to add to your number talks. 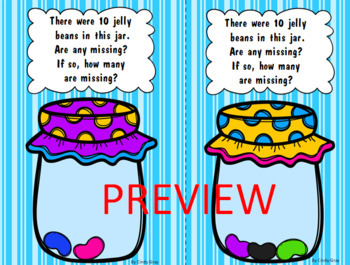 I designed these cards for daily number talks but you could easily use them at a math station. 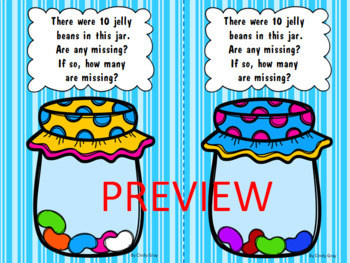 Simple add your own identifying number to the card as well as a piece of notebook paper and the students can write a number sentence to match the card. You could also print them out at less than 100% and use them as cards for a game. Do follow my store so you'll be notified of new and free products as I add them to my store.